NILAI, 2 April 2019 – Muhammad Syafik Rahmat, 24, of Universiti Teknologi Malaysia (UTM) has been awarded the Tokoh Siswa Kebangsaan (National Student Personality) title after winning the Education Minister Award at the Anugerah Tokoh Siswa (Student Personality Award, ATS) 2018 award ceremony held in Tuanku Canselor Hall, Islamic Science University of Malaysia (USIM) on 30 March. 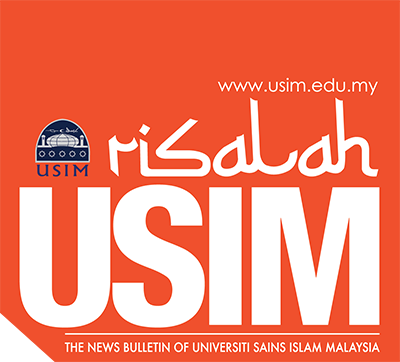 The prestigious ceremony at USIM was officiated by YB. Dr. Maszlee bin Malik, Malaysia’s Minister of Education who personally presented the main award to Muhammad Syafik. Muhammad Syafik also won the Anugerah Pemimpin Program Sukan (Sport Programme Leadership Award) yesterday and returns with RM3,000, a trophy, and a certificate. Muhammad Syafik was recognised for his leadership as the Johor student president and the organisation of the Global Outreach Programme, GOP@Europe (Parlon’16-London, Paris, Amsterdam, Milan) and Global Outreach Programme@China (Beijing and Shanghai). Currently in the final year of his Bachelor of Computer Science (Network and Security), he had won the Anugerah Pemimpin Program Sukan Terbaik 2019 (Best Sports Programme Leadership Award) in UTM as well as the Anugerah Sukarelawan Pembangunan Belia Terbaik (Best Youth Development Volunteer Award) and Anugerah Naib Canselor Tokoh Pembangunan Mahasiswa UTM 2016 (Vice-Chancellor Award for Student Development Personality). “This award is a big responsibility for me to continue inspiring other students and the community. The recognition will be a catalyst for me to strive harder to serve the society at my best capacity,” he said. He also acknowledged that ATS appreciates the efforts and sacrifices of students who have indirectly served the community, and its hosting can motivate students to mobilise various social activities and produce holistic student leaders as desired by the government. “Don’t think too much about sacrificing your energy and time to help others because one day your good deeds will be repaid, sometimes in a way you would never expect,” he added. YB. Dr. Maszlee bin Malik in his officiating speech said that higher education institutions (HEI) are strongly encouraged to promote the culture of discussion and debate constructively as a public intellectual field to ensure new ideas come up, and in the end, only the best ideas are brought to the fore. “It is my hope for students to make this award ceremony platform a benchmark so that the desire to make ‘a university for the community’ is realised and the society is also aware of the existence of the university that always mobilises efforts to carry out activities to benefit the community,” he continued. Anugerah Khas Ketua Pengarah Pendidikan Tinggi (Director-General of Higher Education Special Award) in the team and individual categories. The team category award recipient was the USIM Arabic Debate team for winning second place at the Second UNISI Arabic Debating Championship and first place at the Arabic Debate, Festival of Jazirah Arab. For the individual category, Muhammad Syafiq Suhaimi received this award for becoming the champion of the Asean Ihtifal Bilingual Debate. The Penghargaan Khas Ketua Pengarah Pendidikan Tinggi (Director-General of Higher Education Award Special Appreciation) award is given to individuals and groups of students in various fields who are recognised internationally by winning either the first, second or third place. Also present were YBhg. Datin Paduka Ir. Dr. Hamisah Tapsir, Higher Education Director-General, KPM; YBhg. Prof. Dato’ Tan Sri Dr. Mohd Ismail Abd Aziz, Polytechnic and Community College Education Department Director-General, KPM; and YBhg. Prof. Dato’ Dr. Musa Ahmad, USIM Vice-Chancellor and the university management as the host and the leadership of public and private higher education institutions. ATS involves the participation of students from public universities, private universities, polytechnics and community colleges as KPM’s recognition for outstanding students in their studies, volunteerism and various programmes while studying in the campus.